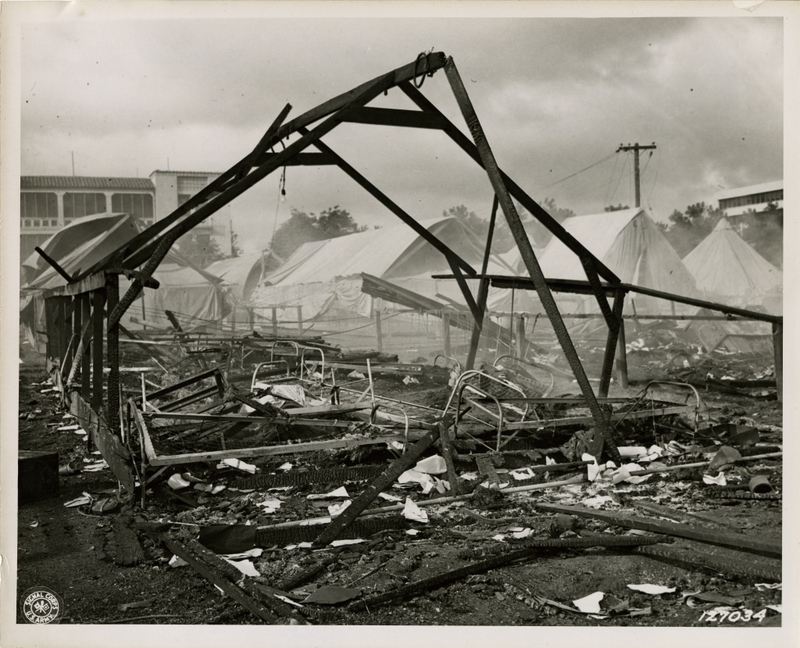 Remains of tent barracks at Wheeler Field after fire caused by attack of Japanese bombers. Practically all were killed when barrack was machine-gunned. This photograph is part of a series of photographs from the U.S. Senate investigation of the Japanese attack on Pearl Harbor, 7 Dec. 1941.